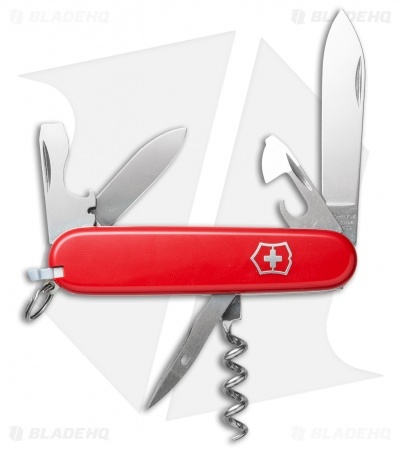 The Victorinox Tourist features the classic Swiss Army Knife design you know and love. With eleven popular implements, this compact tool can handle just about anything. It has a closed length of just 3.25", so it's compact enough to fit comfortably in a pocket or attach to a keychain. 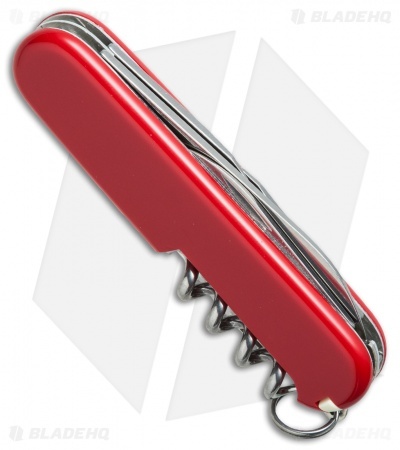 This Victorinox Tourist model has a red handle with the classic Swiss Army logo. I keep one in my truck and one in my bug out bag. 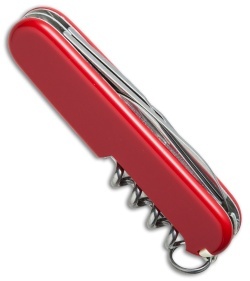 The can opener and cork screw are great additions, never know when you need to bust into some beans or wine!